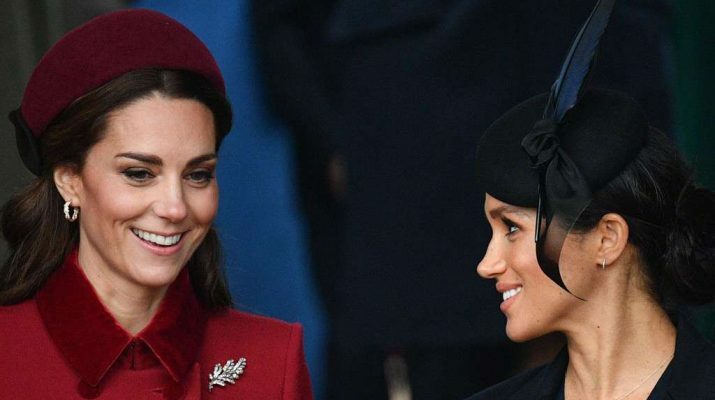 The Truth About Kate Middleton’s Relationship With Meghan Markle – Kenyatta University TV (KUTV). All Rights Reserved. So of course they would be placed at odds with one another. At least, by those on the outside looking in. “Women, in particular, are constantly pitted against and compared with each other in a way that reminds me of how people tried to portray Diana and me all the time as rivals, which is something neither of us ever really felt,” Sarah Ferguson, Duchess of York, wrote in a February essay published by Hello! Though Prince Andrew‘s ex wife doesn’t explicitly name Meghan or Kate, the clear implication is that she’s commenting on the continued saga of a war between the duchesses. The difference here, though, is that while Fergie and Princess Diana did have some dark periods—”It is true that our friendship was periodically strained,” Fergie wrote in her 2011 book Finding Sarah. “Sadly, at the end, we hadn’t spoken for a year,”—Meghan and Kate haven’t so much as looked cross with one another in public. The whole of their supposed feud can be broken down to a lot of assumptions (surely Kate bristled at the idea of being upstaged by a new, charismatic, designer label-wearing royal) and rumors of shouting matches that have been shot down by the palace. And to hear royal insiders tell it, not only is the rivalry not real, it’s muffling the true issues between the Cambridges and the Sussexes, which are largely more interesting than the fiction. As filmmaker Nick Bullen recently revealed it was the actually the brothers who have been having a bit of a squabble of late as siblings are wont to do from time to time. During an episode of his TrueRoyalty.tv talk show, The Royal View, biographer Katie Nicholl shared that the boys’ tiff had caused a bit of a chasm amongst the so-called Fab Four that onlookers interpreted as trouble between their wives. And it’s not as if they’ve never fought in their shared three-plus decades together. In fact, the boys had a bit of a doozy more than a decade back, Nicholl reported for Vanity Fair, when a teenage Harry was outed by the press for smoking and drinking. Of course real life doesn’t always tie up so neatly in a bow. When Harry brought home his new girlfriend, the woman who’d left him so smitten he’d whisked her away to Botswana for their third date, he was expecting to receive a full-throated approval from his older sibling. Instead, he got a note of caution. Enter Dad. Equally fond of both Kate (“As the mother of his grandchildren, of course the prince dotes on her,” a source told Britain’s Telegraph) and Meghan (the pair are said to have bonded over shared interests in art, music and architecture), Prince Charles found himself in the role of mediator, instructing his boys to knock off any quarreling and make nice. His suggestion to William that he make more of an effort reportedly led to he and Kate extending an invite to the newly affianced pair to spend Christmas with them at their Norfolk home.